he physicist Stephen Hawking is convinced that intelligent extraterrestrials populate space, a view shared by many scientists. But his ruminations on this prospect have shifted from the aliens’ existence to their deportment. Maybe they’re dangerous. In a film recently released online, Hawking points to the potential peril in broadcasting signals to other star systems. After all, we don’t know who is out there, and they might not be well-intentioned. If we betray our presence with signals, maybe the aliens will fire up their interstellar artillery and take us out. 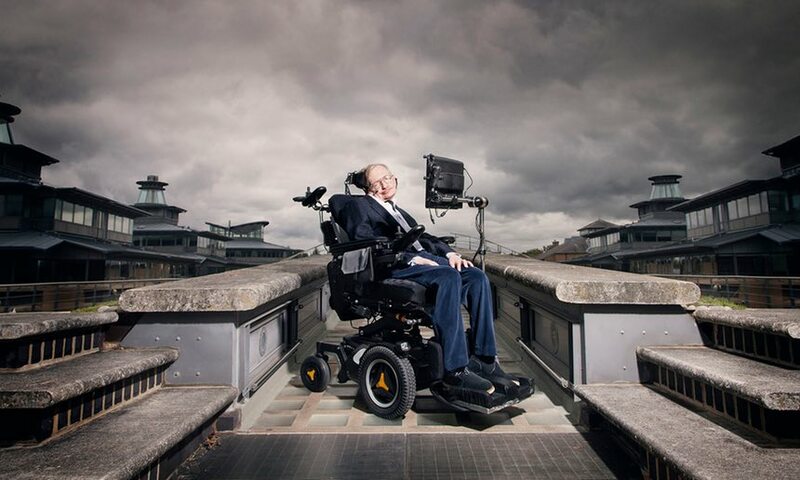 According to Hawking, extraterrestrial societies could be far more advanced than we are – perhaps by billions of years. Their sympathies for us might be meagre, and they “may not see us as any more valuable than we see bacteria”. Leaving aside the rather considerable value of bacteria, Hawking is right: we have no clue as to the intentions of putative extraterrestrials. Perhaps they live in a utopian Shangri-La similar to the one we’ve always said we want for ourselves, a place that values peace as well as the neighbours. But, of course, no one can be sure. In any Darwinian system, there’s always a benefit to aggression by some. So maybe a warning is warranted. Who would want to make their mark as the person who triggered the destruction of Earth in a misguided attempt to start an interspecies conversation? Such a response, which could alert the aliens to our presence and location, is what troubles Hawking. Lay low, he advises. Well, it’s too late. Since the second world war, we’ve been broadcasting television, high-frequency radio, and – most conspicuously – radar into the heavens. Little of this is done with the intention of either entertaining or notifying aliens, but is simply an inevitable leakage of radio transmissions into space. Now admittedly, these signals would be very weak at light years’ distance, and the alien antennas necessary to pick them up would be many times larger than our own. But the difficulty extraterrestrials would have in noticing our incidental emissions pales in comparison to the challenge they’d face in launching weaponry our way. Note that our fastest rockets, as impressive as they are, would take 80,000 years to reach even the nearest star. Aggressive aliens would obviously require far better hardware. Interstellar travel, let alone warfare, is easy only in the movies. These simple arguments lead to a simple conclusion. Any society with the capability to threaten Earth is overwhelmingly likely to already have the kit required to pick up the leakage we’ve been wafting skyward for seven decades. The requisite radio technology is far easier than the necessary rocket technology. And since we’ve been busy for a lifetime filling the seas of space with bottled messages marking our existence and position, it’s a bit silly to fret about new bottles. So should we worry about a future, deliberate transmission to the stars? Nasa doesn’t seem concerned: in 2008, it broadcast a Beatles song in the direction of the north star. It will take four centuries to get there. The space agency is obviously not troubled by the thought that this piece of pop culture will incite extraterrestrials to rain down weaponry on our planet. Yes, anything’s possible. But that doesn’t mean that everything’s plausible. Sure, Martians could mount an attack on Earth in the near future. But that’s one worry that won’t keep me awake at night. Nor should it trouble you. If Hawking is really concerned, perhaps he should make sure his online movie isn’t broadcast. … we have a small favour to ask. More people are reading the Guardian than ever, but far fewer are paying for it. Advertising revenues across the media are falling fast. And unlike many news organisations, we haven’t put up a paywall – we want to keep our journalism as open as we can. So you can see why we need to ask for your help, especially during this UK election. I’m a 19 year old student disillusioned by an unequal society with a government that has stopped even pretending to work in my generation’s interests. So for the strength of our democracy, for the voice of the young, for a credible, independent check on the government, this contribution was pretty good value for money. Jack H.